Similar to the "Select data (2 tables)" function, data from two linked tables can be selected with this function. A link condition must also be specified here. If required, you can also specify a filter condition for each of these two tables. 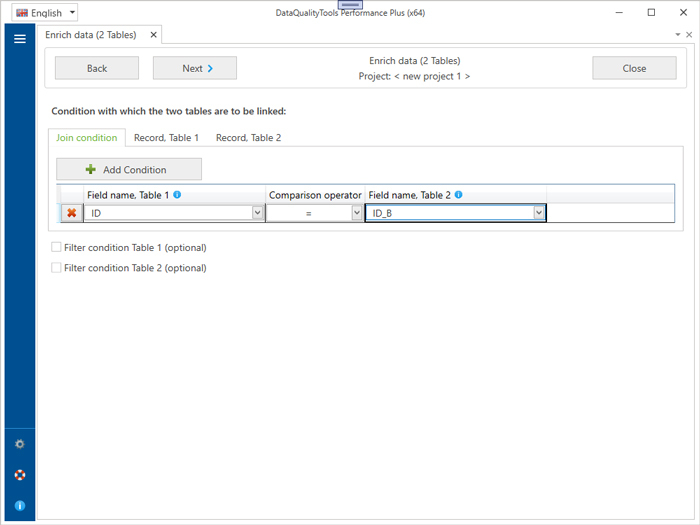 The selection result is then used to transfer information from one table to the second table linked to it.